The important dimensions are required by the NPS regs: the pan needs to be 300 square inches – 15″X20″ – and have sides 3″ high. 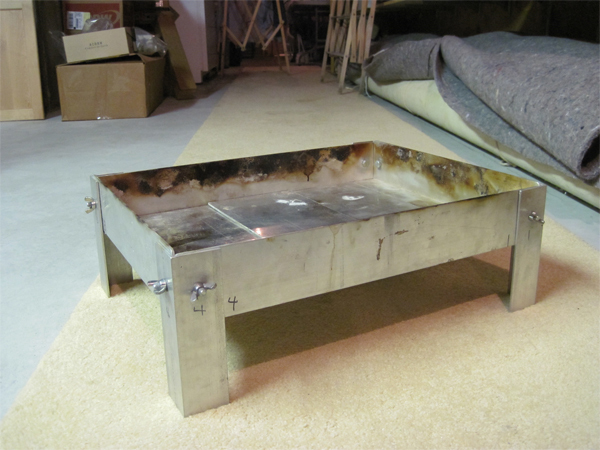 The legs have to lift the firepan off the ground by at least 3″, so I had the legs be 7″ long (3″ to line up with the sides of the pan, plus 4″ of height from the ground). 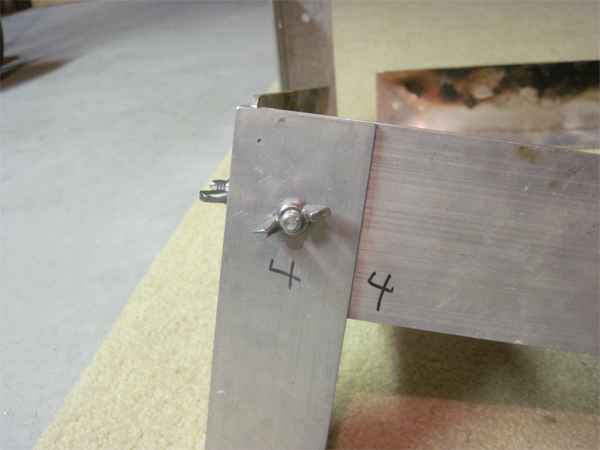 The pan breaks down into 11 pieces – 4 legs, 4 sides, and 3 bottom panels, plus 8 thumb screw bolts to put it together. The whole thing weighs 8.8 lbs. I had made it out of 1/8″ aluminum. Actually, I just designed it, and Greg Hanlon had it made at the shop at his work. 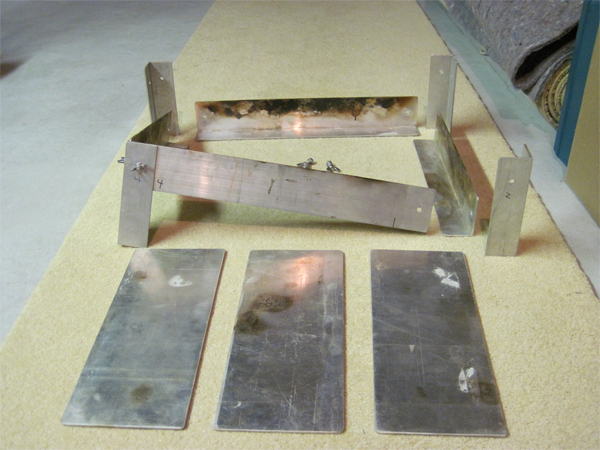 The individual pieces of the firepan. One alteration I considered was to drill out the legs and the bottom portions of the sides to reduce some of the weight, but since the pan was being distributed among 5-6 different people the weight reduction didn’t make that much difference. The only thing that I’d change would be to drill the thumb screw holes a bit larger, so it would be easier to match up the corners. Here is the corner where I would have drilled larger holes. 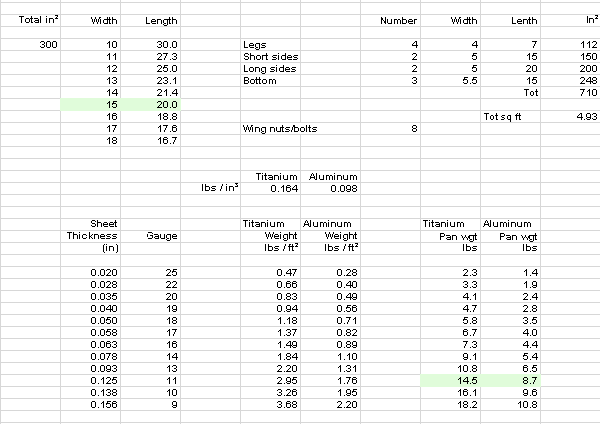 The firepan dimensions complete with a Titanium vs. Aluminum analysis.